What should I know about swollen lymph nodes (glands)? What are lymph nodes? What do they do? Where are the lymph nodes located in the body (pictures)? Are swollen lymph nodes painful? How do you check for swollen lymph nodes? What infections and viruses cause swollen lymph nodes? What bacteria, parasites, and fungi cause swollen lymph nodes? When should I see the doctor for swollen lymph nodes? What are treatments and remedies for swollen lymph nodes? How long does it take swollen lymph nodes to resolve (go away )? What are the complications of swollen lymph nodes? Lymph nodes are located throughout the body but are visible and able to be felt (palpable) only when they are enlarged or swollen. Doctors and other health care professionals check these areas for enlarged or swollen lymph nodes. A wide variety infections are the most common causes of swelling of the lymph nodes, for example, strep throat, ear infections, and mononucleosis. More serious medical problems such as HIV infection, lymphomas (non-Hodgkin’s lymphoma) or other cancers, or lupus may cause swollen lymph glands. Rarely, a medication can cause the problem. Symptoms associated with lymph node swelling and related diseases can include pain in the area of the swelling, fever, and fatigue. Swollen lymph glands are typically a result of local or widespread inflammation, but sometimes enlarged lymph nodes are due to cancer. Lymph nodes are an important part of the body's immune system and to help fight infections. Swollen lymph nodes usually caused by infection are referred to as lymphadenitis. Lymph is a watery fluid that circulates within the lymphatic vessels. 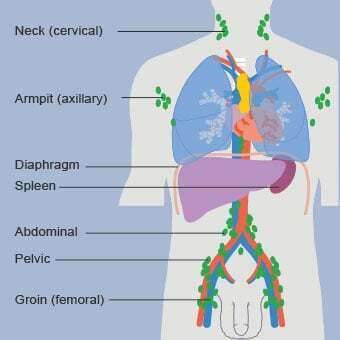 Lymph nodes are found near these vessels. 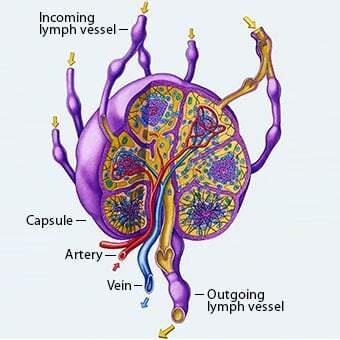 Within the capsule, lymph nodes contain certain kinds of immune cells. These cells are mainly lymphocytes, which produce proteins that capture and fight viruses and other microbes, and macrophages, which destroy and remove the captured material. Lymph nodes are located throughout the body. Some are directly under the skin while others are deep inside the body. Even the most superficial (close to the skin) lymph nodes usually are not visible or palpable (felt by touching), unless they are swollen or enlarged. 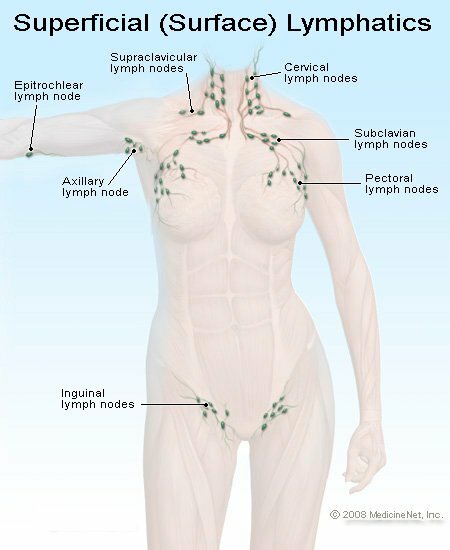 Lymph nodes are connected to each other by loosely bound lymphatic essels. Lymph nodes generally coalesce in different regions in the body where they are responsible for filtering the blood and performing their immunologic function for that particular area of the body. Fluid from the lymphatic vessels eventually feeds into the venous system (veins) in the body. In general, swollen lymph nodes caused by infections, inflammation, or cancers can be painful or tender. Some benign causes of swollen lymph nodes may not be painful. Swollen lymph nodes on the side of the neck or under jaw: Swollen lymph nodes on the side of the neck or under jaw are the most common. They may represent an infection around that area, such as a tooth infection or abscess, throat infection, viral illness, or upper respiratory infection. Most of the causes of swollen lymph nodes in this area are benign (noncancerous) but sometimes swelling of these lymph nodes may also suggest a cancer in the head and neck area. Swollen lymph nodes behind the ear and in the occipital area (base of the skull): Swollen lymph nodes behind the ear or in the base of the skull may correspond to an infection around the scalp or possibly an eye (conjunctival) infection. The most common cause of swollen scalp lymph nodes are skin conditions affecting the scalp, such as dandruff (seborrheic dermatitis); or an abscess, or soft tissue infection. The lymph nodes in the underarm (armpit, axilla): The lymph nodes in the underarm are anatomically important in breast cancer. They are often checked physically in patients undergoing investigation for breast cancer. They also play an important role in staging (determining the extent) and predicting the outcome of breast cancer during removal of the cancer tissue from the breast. 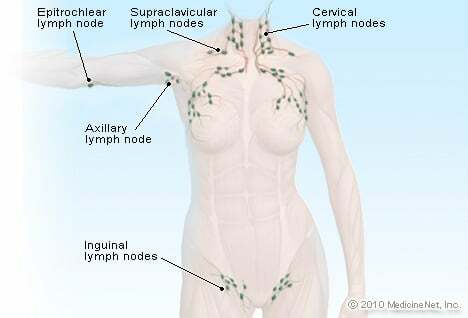 Many cancers including lymphoma and leukemia can cause enlargement of these lymph nodes. (Lymphomas are cancers that originate in the lymph nodes.) These lymph nodes can also become reactive and enlarge due to trauma to or an infection of the arm on the same side. Enlarged lymph nodes above the collarbone: Enlarged lymph nodes above the collarbone (supraclavicular lymphadenopathy) are always considered abnormal. These generally suggest a cancer of or an infection in the region close by. Examples include lung infection, lung cancer, lymphoma in the chest cavity, or breast cancer. Occasionally cancers that are more distant may seed these lymph nodes, such as genital cancers or colon cancer. Some inflammatory causes of the swollen lymph nodes above the collarbone (clavicle) can include tuberculosis or sarcoidosis. Swollen lymph nodes in the groin: Swollen lymph nodes in the groin may be normal in young people but they could also result from some sexually transmitted diseases, local infections, infections of a lower extremity (including the foot and toes), or genital cancers. Usually lymph nodes are not visible. Once they enlarge, they can become visible in certain areas of the body. Especially behind the ear, or in your neck or groin, you might notice them as enlarged "bumps." Enlarged lymph glands can also often be felt by slowly moving your hands around the swollen area. You can determine if they are tender or not. There are many causes for swollen lymph nodes, sometimes referred to as "swollen glands" (lymphadenopathy or lymphadenitis). In general, lymph nodes become swollen when they are active due to either a bacterial, viral, or fungal infection, inflammation, or cancer. Viral infections are the most common causes of swollen lymph nodes. The most common cause is viral upper respiratory infections such as the common cold. Inflammatory and immunologic causes of swollen lymph nodes include diseases such as rheumatoid arthritis and lupus as well as sensitivity to some medications. Many cancers can also cause swelling of lymph nodes. These cancers may originate from the lymph nodes or blood cells such as lymphomas and some types of leukemia. They may also be cancers that spread from another organ in the body (metastatic cancers). For example, breast cancer may spread to the nearest lymph nodes in the underarm (axilla), or lung cancer may spread to the lymph nodes around the collarbone. There are many other less common causes of swelling of nodes, such as genetic lipid storage diseases, transplant graft rejections, sarcoidosis, and many other conditions. There are many other less common causes of swelling of nodes, such as genetic lipid storage diseases, transplant graft rejections, sarcoidosis, and various other conditions. Lymph node swelling is not always a sign of an underlying disease. Sometimes swollen lymph nodes can be normal. For example, small (less than 1 centimeter), flat lymph nodes under the jaw (submandibular lymph nodes) in healthy children and young adults or small (up to 2 centimeters), groin lymph nodes (inguinal lymph nodes) in young individuals may be normal. In many instances, a definitive cause for swollen lymph nodes may not be determined even after performing through examination and testing. Symptoms of swollen lymph nodes vary widely. A person could be completely free of symptoms (asymptomatic) and swollen lymph nodes are may only be found when a doctor notes them during a general physical examination. Sometimes, swollen lymph nodes can be extremely tender, painful, and disfiguring. If you notice swollen lymph nodes, see your primary care doctor for an evaluation and possible treatment. Depending on the reason for the swelling of the lymph nodes, you might need treatment by a hematologist/oncologist (if the swollen lymph nodes can't be explained or are due to an underlying cancer) or an infectious disease specialist (if they are due to a complicated infection). Sometimes you might be referred to a surgeon to biopsy or remove the lymph node. If swollen lymph nodes are associated with fevers, night sweats, or weight loss, and the person does not have any obvious infection, he or she may need a thorough evaluation by a healthcare professional. People who were appropriately treated for an infection but have persistent swollen lymph nodes should see their doctor. If a person has a known cancer, or was treated for one in the past and new lymph nodes in the general area of the cancer are noted, see a doctor. Swollen lymph nodes closer to the surface of the body are generally diagnosed by a doctor's examination and feeling for areas known to have coalescence of lymph nodes, for example, swollen lymph nodes under the arms (axillary lymph nodes), swollen lymph nodes in the sides of the neck (cervical lymph nodes), or swollen lymph nodes in the groin (inguinal lymph nodes). These swollen lymph nodes can be seen and felt easily. Other times, deeper lymph nodes could be seen on imaging studies, such as CT scan (computed tomography), of different parts of the body. Tonsils in the back of the throat are also lymph nodes, and they are the most visible ones in the body. Diagnosing the cause of swollen lymph nodes may be challenging. The most important component of evaluating a swollen lymph node is a thorough medical history and a complete physical examination by a doctor. 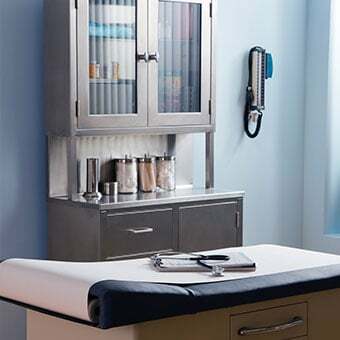 The doctor may ask about symptoms such as sore throat, fever and chills, fatigue, weight loss, a complete list of medications, sexual activity, vaccination history, recent travels, and the patient's own and his/her family's previous history of cancers if any. A group of lymph nodes in a particular area of the body reacts to disturbances in that general region. If there is a specific infection in the region of the swollen lymph nodes, that may be the most likely cause of swelling. For instance, infections of the leg or some sexually transmitted diseases can cause swelling of the lymph nodes in the groin area. These characteristics can be useful in suggesting the cause of the lymph node swelling. For example, a hard, nontender, non-moveable lymph node may be more characteristic of a cancer spread to that node. On the other hand, a soft, tender, moveable lymph node could more likely represent an infection. If the enlarged lymph nodes are suspected to be related to a cancer, then a biopsy of the lymph node may determine the cancer type. For example, a swollen lymph node around the collar bone (supraclavicular lymph node), may signify lung cancer in a person who may have other clinical clues suggestive of lung cancer. There is no specific treatment for swollen lymph nodes. The underlying cause needs to be treated, which may result in the resolution of the swollen lymph node. If an enlarged lymph node causes local discomfort, home remedies include a warm, wet compress to help with pain relief. Over-the-counter (OTC) pain relievers such as ibuprofen (Advil, Motrin) and acetaminophen (Tylenol) may be used to help reduce swelling and pain. Prescription corticosteroid medications such as Prednisone, Medrol or Decadron may also be used for swelling. 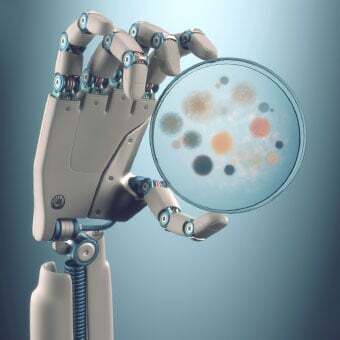 Viral infections may be treated with antiviral medications. Treatment for cancer may consist of chemotherapy, radiation, or surgery. 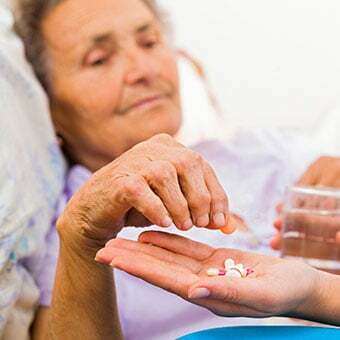 Medications to treat autoimmune disorders such as rheumatoid arthritis or lupus may be prescribed. The time it takes for a swollen lymph node to go away varies widely and depends on the underlying cause. If an infection causes swollen lymph nodes, they may resolve in a few weeks. However, it is common for lymph nodes to remain enlarged for time even after an infection has been treated. 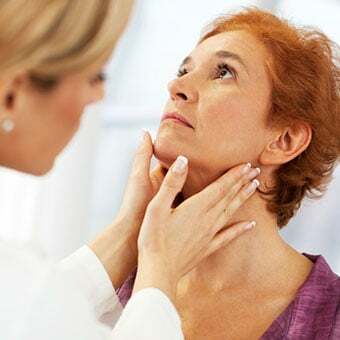 If swollen lymph nodes are a result of an autoimmune disorder, they may shrink in size during periods of remission and then enlarge again when the illness flares up. If swollen lymph nodes are due to cancers, it depends on the type and stage of the cancer and whether it has metastasized (spread) to other parts of the body and the lymph nodes may remain enlarged for the duration of the treatment. There may be complications associated with enlarged lymph nodes. If the lymph node swelling is related to an infection that is not treated, then an abscess (a pus-containing cavity) may result, which may require incisional drainage and antibiotics. The skin underlying the enlarged lymph node may also become infected. In other cases, the lymph node may become very large and compress other nearby structures in the body. This could be a serious and debilitating problem that may require immediate medical or surgical attention. For example, the lymph node in the underarm (axilla) can compress the blood vessels and nerves supplying the arm. An enlarged lymph node inside the abdomen may compress the intestines and cause an obstruction of the intestines. Vikramjit, SK. "Lymphadenopathy." Medscape. Updated: Feb 01, 2018. What are the symptoms of strep throat? What does strep throat look like? Is strep throat contagious? How do you get strep throat? Learn about treatment, antibiotics, and how to get rid of strep throat.